http://newiprogressive.com/images/stories/S5/medical-marijuana-s5.jpgStudy shows Wisconsin could see a $1.1 billion benefit over a five year period from the legalization of medicinal marijuana says Legislator. http://newiprogressive.com/images/stories/S5/boy-in-doc-s5.jpg Republicans use a little known time limit clause on John Doe probes included in "Corrupt Politician Protection Act" to protect Gov. 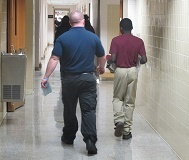 Walker as excuse to end probe of abuse and exploitation of children at state correctional facilities. Gov. 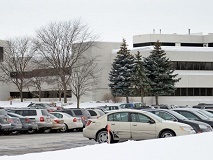 Walker's Insurance Commission approved the merger of health insurance giants Humana and Aetna in a deal that could cost Northeast Wisconsin more than 3,100 jobs and did nothing to protect health care consumers. 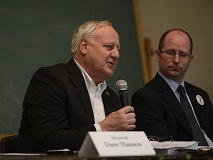 Sen. Hansen and Rep. Genrich tried to either block the merger or set conditions to protect consumers and workers. GREEN BAY - Late last week Governor Walker’s Commission of Insurance, Ted Nickel, approved the merger of health insurance giants Humana and Aetna without any significant conditions. The Office of the Commissioner of Insurance (OCI) made no public announcement of the decision. 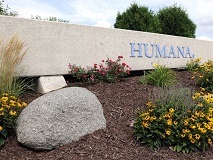 Humana currently employees over 3,000 people in Green Bay and 3,700 workers statewide. OCI could have required the combined company not to outsource the Humana jobs. Instead, OCI simply requires notification of jobs cuts for three years, without any public recourse if the jobs are eliminated. OCI also could have put in safeguards against large health insurance rate increases, but choose to do nothing to protect health care consumers. OCI has broad authority under Wisconsin law it could have used to either block the merger or set conditions to protect the interest of consumers and workers. Senator Dave Hansen and Representative Eric Genrich asked OCI to require that there be no net job reductions as a result of the merger. Instead, the Walker Administration did nothing to safeguard Wisconsin jobs or protect health care consumers in return for allowing this mega health insurance merger to go forward. The deal will allow big insurance companies to further rig the health care system against health consumers and workers. “It is deeply disappointing that, when given the opportunity to protect more than 3,100 jobs in Northeast Wisconsin, Governor Walker and his Insurance Commissioner chose to do nothing. “It is a rare to have the opportunity to intervene in a merger of this size with such great potential to positively impact our workforce and Wisconsin consumers. Sadly, thanks to the inaction on the part of the Governor and his administration, any opportunity to build in these important protections has been lost. http://newiprogressive.com/images/stories/S5/wisc-leaving-s5.jpg Deal with Big Health Insurance could result in outsourcing of over 3,000 Wisconsin jobs and higher health insurance rates.